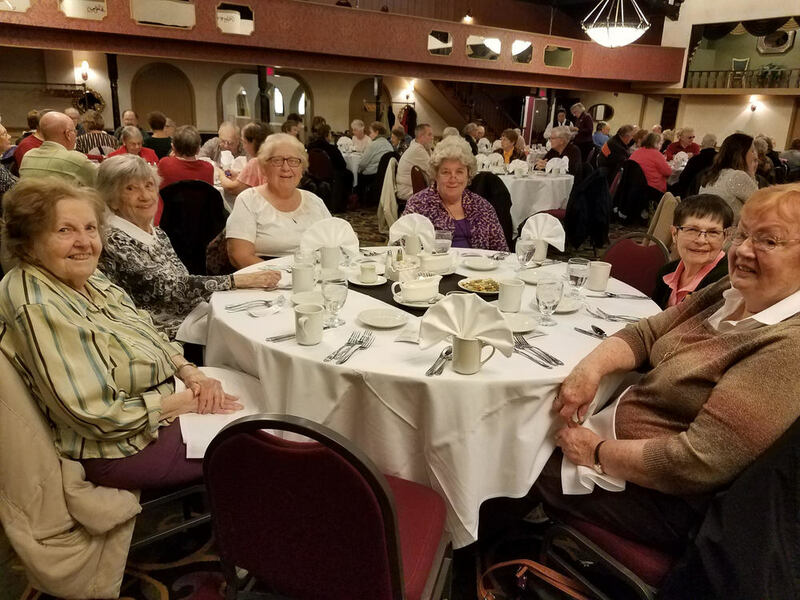 St. Thomas More Fellowship Club is a group of men and women 55 years and older, that meet on the third Tuesday of each month. It is the longest standing group at St. Thomas More and we are very proud of that. We have a short meeting, provide lunch, followed by valuable information, a guest speaker, fun and games, or sometimes just good old conversation among friends. Three events each year include a summer BBQ at Tyler Creek Forest Preserve, a Christmas party, and a pizza party, all provided by the club. Yearly membership is just $10 and $1 per meeting whenever you are able to join us (if you do not attend, you do not pay). We encourage members to come regularly but we understand that is not always possible so we are happy to welcome you whether it is once a year or every month. Other trips and events are provided during the year at an additional expense. Some of the trips we took this past year were to Chandler’s in Schaumburg, Pheasant Run in St. Charles, and White Pines State park. At each location we enjoyed lunch and a musical presentation. Come check us out on any third Tuesday of the month. First time guests are welcome and pay no dues until you decide to join. Looking forward to welcoming new members. St. Thomas More Fellowship Club was established in May of 1980 by members of the parish and encouraged by Fathers Linster and Harlan. After visiting several senior clubs and with the help of Catholic Charities in Chicago the club was organized. Farther Harlan and St. Thomas More Women’s Club donated money to help get the club going. By the end of the second month the group filled a bus to make a trip to Chicago to see the Wayne King show. They had lunch, danced, had fun, and share a lot of memories. Programs or trips were planned for every month with each member paying their own way. Fellowship is not a drain on the Parish which the group is very proud of.